Visit Barcelona, the medieval villages of Pals and Peratallada, experience wine- and liquor-tastings in a country house, travel by boat to Tossa de Mar, visit the Monestir of Montserrat, Museum Dalí in Figueras, Thyssen Museum in Sant Feliu de Guixols (most important collection of contemporanean paintings in the world) and enjoy all kinds of excursions. 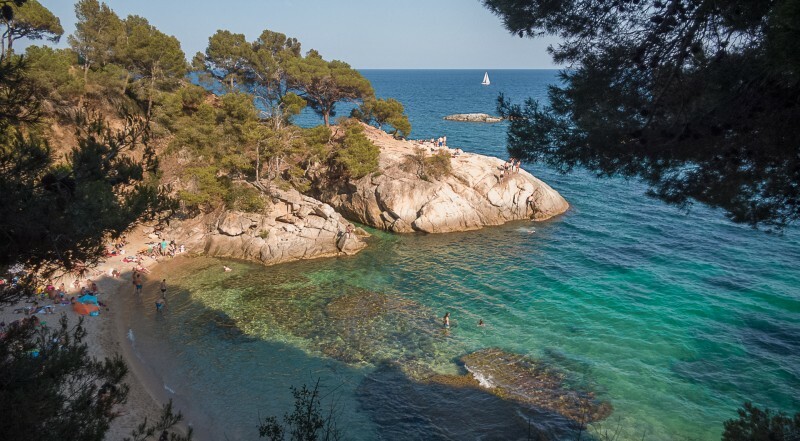 The Costa Brava is one of the most admired corners of Catalonia for the clear and transparent waters offered by its beaches. It is also notable for its gastronomy, very characteristic of the fresh fish of the day, as well as the famous prawns of Palamós. The popular walking routes offer hiking trails with spectacular views, which border the villages and beaches of this seafaring area. Girona is a city with the charm of having many corners where to get lost, as well as the Cathedral, the walls that surround it, the streets of the Jewish Quarter with the Arab baths, the monastery of Sant Pere de Galligants or all the bridges that cross the river Onyar and allow to observe the colors of the cases are articulated on the water.